Christmas reminds us that the rescue we long for doesn't necessarily come in the way we expect. In the new creation, there is power in meekness; riches in poverty. We join in the tradition of old in celebrating the arrival of our rescuer. 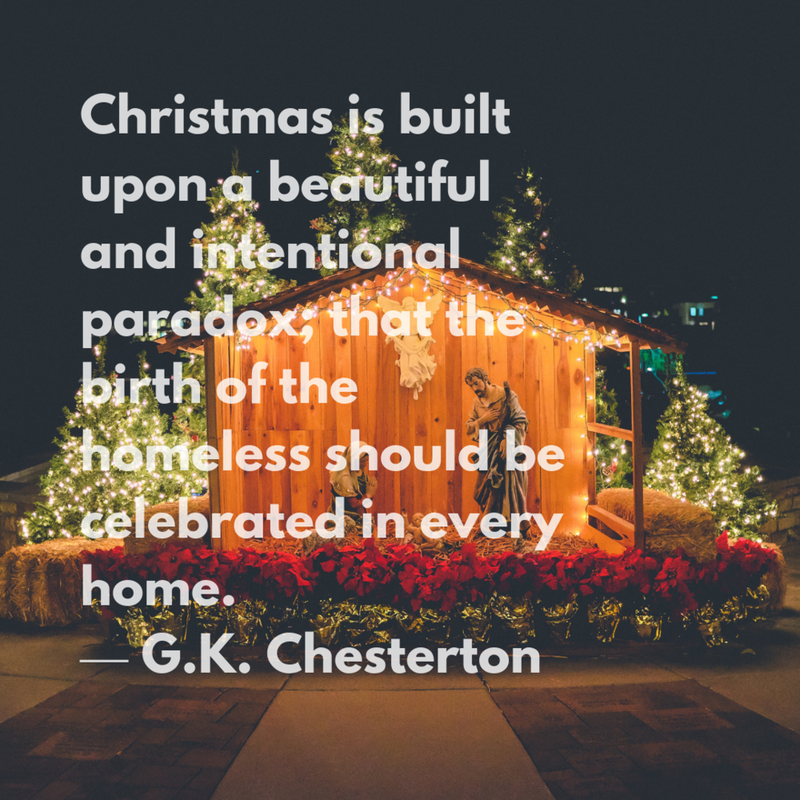 The Savior doesn't come in power but as a homeless child. Maybe we shouldn't "judge a book by its cover"? Perhaps, there's more to this story than meets the eye. Ponder and wonder for sure! Yet, please don't miss the beauty in the "upside-down" plan of rescue and what it could mean to embody these values today. Right here in Philadelphia. Merry Christmas. The Day After.